If you are unable to read this email clearly, then please click here to view it in your browser. 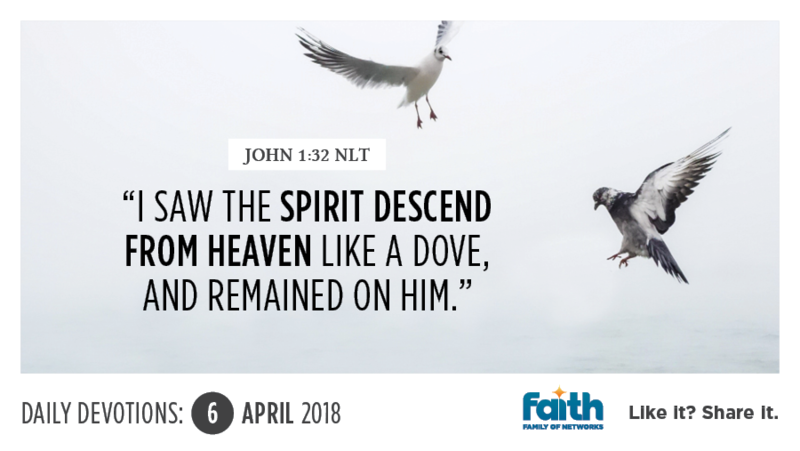 The very first mention of the Holy Spirit is found in Genesis 1:2, stating that "the Spirit of God was hovering over the waters." During the time of the Old Testament, God revealed Himself to people like Moses, Joshua, the Judges, the priests, kings and prophets. He anointed many of them to do great exploits. Not only was personally experiencing the Spirit of the Lord limited, it was conditional. We read that the moment King Saul sinned against God, the Spirit of the Lord departed from him, and he became afraid of David, because the Lord was with David, and had left Saul. Nowhere in the Old Testament, do we see the Spirit of the Lord remaining on an individual, His presence would be on them for a specific time, then leave, then return again when God willed it. However, when Jesus was baptised in the Jordan River, the heavens opened, and the Spirit descended from heaven and remained on Him. Today, the Holy Spirit indwells anyone who receives Jesus Christ as Lord and Saviour and asks Him to make His home in them; and His Spirit has promised to remain in us forever. Because of Jesus, we are able to have the Holy Spirit take permanent residence in our hearts, and His power is constantly at work within us, influencing every part of our lives as we yield to Him. He desires to be our constant comforter, teacher and guide in this life, as He shows us things to come. Open your heart to Him today, ask Him to fill you with His power and learn to yield your life to Him. Your partnership with the Holy Spirit will cause you to never be alone as you allow Him to take responsibility for your life.